This meditation can be applied when you find yourself stuck on the path and is also extremely beneficial when you notice small defects during your daily life. This meditation technique can be applied daily and can be extremely powerful for being intiated. Sit or lay in a comfortable position. Focus the mind on the breathe. Inhaling and exhaling slowly until every muscle in the body has been relaxed. Ask the divine mother to help you in this practice before you begin to focus on an ego. Look upon the inner state that had arisen in your day. This inner state or ego most likely would be a reacurring theme in your life, something you have always struggled to overcome. It may be a certain pride button that continually gets pushed or anger or even fear and anxiety that continues to plague you and denies you peace. There are many hidden elements of the psyche that they are like grains of sand hidden deep within our psychology. By observing ourselves during the day we uncover these hidden psychological elements that drive our thoughts and therefor our actions in life. Begin to focus on the chosen state by looking at the last time this ego emerged. Retrospect the situation by going through the series of events that led to this ego emerging. There are thoughts behind feelings along with body movements or physical sensations that occur when we are attacked by the ego. Slowly begin to look into the thoughts, the feelings and finally how your psychical body reacts and is influenced by the thoughts and feelings. Do this for some time, really and honestly looking at yourself. It is not you who judges the ego, it is the divine mother. You may be surprised by what is revealed. Try not to be intellectual in your investigation into yourself as this can be the mind breaking down elements and blocking the consciousness from its revelations. Stay calm and relaxed. You do not want to get lost in this inner state or ego as that would be feeding it again. You are looking at the inner state while being detached from it, not living through it once more. If you begin to feel the ego attacking you and the thoughts and feeling reacuring ask the divine mother to disintegrate it or simply ask for it to die. You find find that your meditation becomes a battle to die to this ego. This is a good thing as your are waging a war upon it with the help from your divine mother. Once you have seen the ego in one circumstance move on to another circumstance in the past. You can ask your divine mother to reveal this ego to you where it manifested at a different time in your life. Repeat the process with this circumstance. And again once you are done ask the divine mother to disintegrate it. This meditation practice is recommended for people to practice for an hour at a time. Towards the end you can ask to have the hidden defect revealed to you. When this works you will understand the root cause of many of your problems and that they are rooted in lust. At the end sincerely and honestly ask the divine mother to disintegrate this ego forever. I hope this practice brings people many revelations and adds to their peace and harmony with others and themselves. 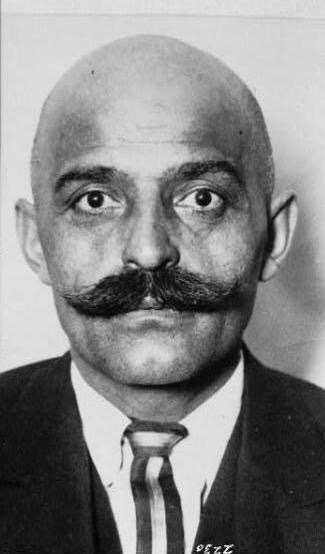 George Gurdjieff the Influential spiritual teacher spoke of the many I’s that lay hidden within the mind. His diagram of a circle with many blocks containing an “I” represents the internal state of the psyche and illustartes the innate selfish nature of each individual.